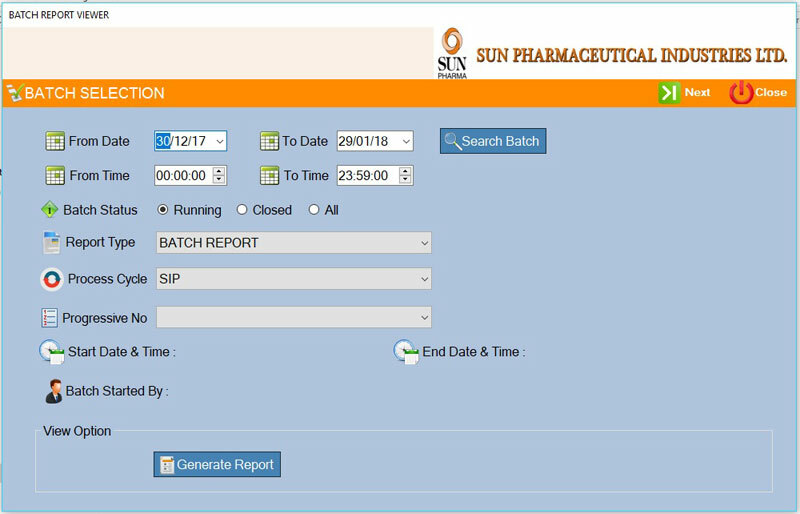 a)	Client Name : This allow user to Enter client name which will be displayed in Batch Report. b)	Header Note : This allow user to Enter Header Note which will be displayed in Batch Report. c)	Footer Note : This allow user to Enter Footer Note which will be displayed in Batch Report. d)	Database Back Up Path : This allow user to select folder where database backup will be created automatically daily. e)	Select Logo : This allow user to Select Logo which will be displayed in Alarm Audit Reports. •	Batch Set Parameter Utility This will allow user to configure 10 set parameters tags and this set parameters be displayed while printing Batch Report. •	Batch Event Parameter Utility This will allow user to defined 10 Data logging tags. Data will be logged once event will be fired.